Missing teeth aren’t just an aesthetic concern. When you are missing one or multiple teeth, your body begins to reabsorb the jawbone in that area in order to distribute the minerals elsewhere. This weakens the jawbone and causes breakage or facial collapse. In order to prevent this, the jawbone must be stimulated by a replacement tooth root. 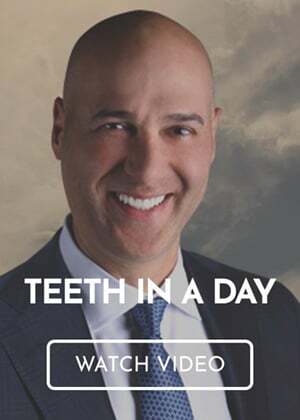 Our Troy, MI dental implant dentist, Dr. Nazarian, recommends dental implants to replace missing teeth and reconstruct your smile. Dental implant technology has changed dramatically during the past several years. Dr. Nazarian offers a wide range of easily affordable dental implant services that can recreate a new partial or full arch of teeth. At our Troy dental implant dentist’s office, we suggest two main options for implant-supported teeth reconstruction: dentures and bridges. Normal dentures are known to cause significant bone losswithin a few short years. They sit on top of the jawbone and don’t prevent bone reabsorption. Over time, this leads to facial collapse, making the patient look much older than they really are. However, implant-supported dentures are attached to dental implants that stimulate the jawbone to keep your facial structure intact. They also have a much more secure fit than regular dentures and won’t slip or slide, as they are not removable. You can eat, talk, and care for them just as you would with your real teeth! The same goes for implant-supported bridges. 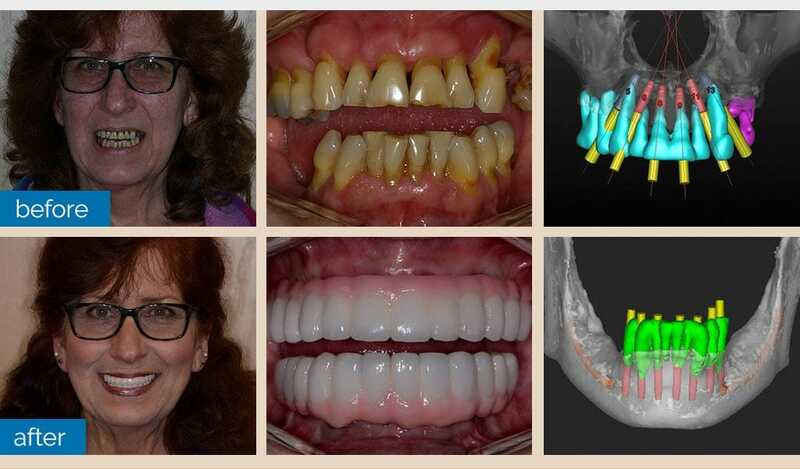 While normal bridges can damage the surrounding teeth and result in bone loss, implant-supported bridges are attached to dental implants embedded into your jawbone. This is a long-lasting teeth replacement option that preserves your bite better than regular bridges could. 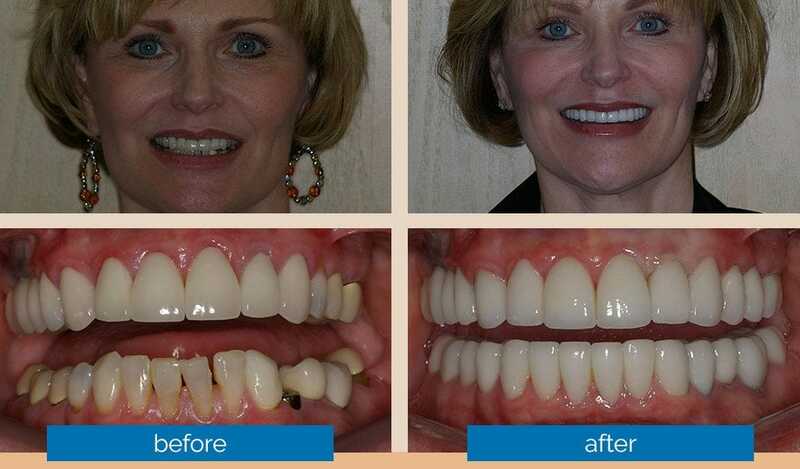 Dental implants are a great way to reconstruct your smile. 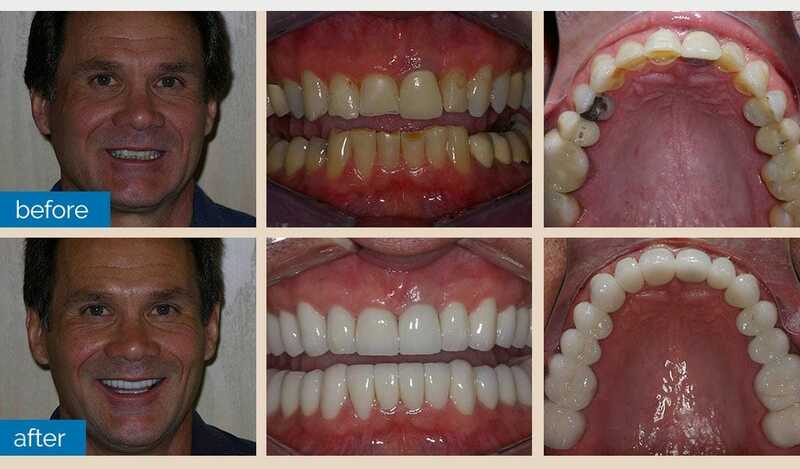 Our Troy, MI dental implant dentist is highly experienced in dental implants and implant-supported bridges. 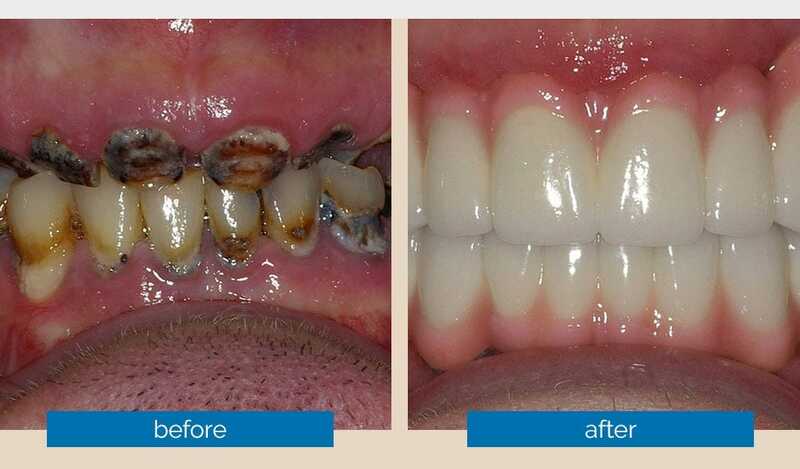 To request an appointment with our reconstruction dentist, call Premier Dental Center at (248) 457-0500.